I discovered these guys online and was immediately impressed. 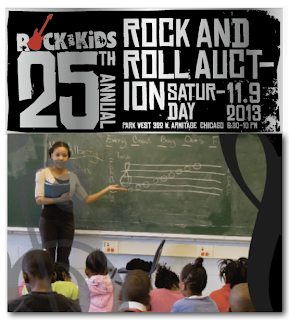 Chicago’s Rock for Kids started out with a simple mission and that was to provide kids in underserved schools a free music education. Music I believe is every child's right in the same way language is a right. An education in music gives every child a chance to explore what could almost be considered a basic human need. Think about it. Every culture in the world has music. Music has been with us for thousands of years and passing it down to our children is essential so when children miss out on a music education it truly is a tragedy. 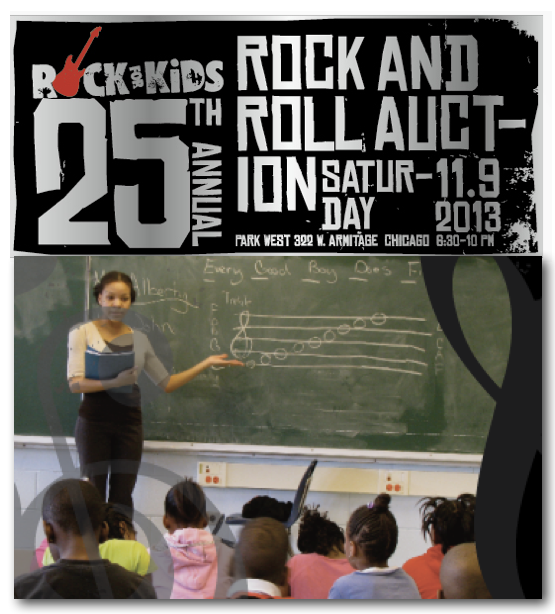 Chicago’s Rock for Kids began in 1988 with just a handful of student and today teaches over 5000 students across the city. Its worth noting that 86% of children in Chicago's public schools are classified as below the poverty line so they certainly have a lot more children who need their help. To raise money Rock for Kids runs raffles. A rare John Lennon 70th Anniversary J-160E Vintage Sunburst guitar will be raffled off at their 25th Annual Rock and Roll Benefit Auction on the 9th of November at the Park West. The guitar is one of only 500 in the world, is worth close to $4,000 and was donated by The Chicago Music Exchange. If you want a chance this collectors item raffle tickets cost $25 and can be purchased now by calling 312-255-9454.